If available at your institution, you'll find the premium datasets under Browse by Subject as below. You can also find them in the Browse by Source listing, by clicking on China Data Center, EASI Analytics, Stocks and Commodities, or Infogroup.. This dataset provides historical prices for equities trading on more than 50 global exchanges. Daily open, close, high, low, and volume statistics are reported. The historical depth of the time series available varies by equity. Data are provided by Xignite, who delivers on-demand financial market data covering global equities, commodities, currencies, options, fixed income, mutual funds, derivatives, and OTC (“over-the-counter” or those traded in a context other than a formal exchange) instruments. This dataset provides daily spot prices for gold, silver, palladium, and platinum, and gold coin prices. Xignite collects, compiles and curates its precious metals data from a variety of high quality sources, including Morningstar, Six Financial Information, Chicago Mercantile Exchange, London Bullion Market Association, and the London Platinum and Palladium Market. Xignite provides on-demand financial market data covering global equities, commodities, currencies, options, fixed income, mutual funds, derivatives, and OTC (“over-the-counter” or those traded in a context other than a formal exchange) instruments. Infogroup is a big data, analytics and marketing services provider. Infogroup provides both digital and traditional marketing channel expertise drawing on proprietary data collected on millions of business establishments. The Infogroup Business USA dataset provides data on businesses in the United States, at national and subnational geographic units. Data on businesses in US territories is also included. Data are collected from multiple sources, including direct calls to businesses. Statistics are presented on company counts, employee counts, and sales by industry, company, and company location. The EASI Market Planner, China Data Center (subnational data), Worldwide Stock Market Prices and Precious Metals Daily Prices, and Infogroup Business USA are premium datasets within Data Planet Statistical Datasets. Click on the dataset name for detailed information on each offering, or scroll this page for a high-level description of each. To see if your library subscribes to any of these modules, look in the indicator panel (the panel on the left side) in Statistical Datasets. If available at your library, you will see the datasets listed both by Subject (see example to the left) and Source. Easy Analytic Software Inc. (EASI) is a New-York based software engineering and statistical modeling firm that specializes in consumer demographics. Using input data from the Census Bureau, Bureau of Labor Statistics, and Mediamark, EASI develops model-based indicators of the demographic characteristics, consumer spending, and behavior patterns for a wide range of geographic areas—State, counties, census tracts, and block groups. Mediamark is a market research firm that annually publishes The Survey of the American Consumer, based on detailed interviews of 26,000 households. The EASI Market planner comprises 13 large datasets. Below are brief descriptions of each. Consumer Behavior – Mediamark - This dataset shows US consumer usage and purchasing patterns for over 6,000 products and services. Data are from Mediamark’s annual Survey of the American Consumer, based on 26,000 face-to-face interviews conducted nationwide in consumers’ homes. Easy Analytic Software Inc.(EASI) uses its statistical modeling technology and demographic profiles of various geographic areas to show Mediamark’s data for States, counties, census tracts, and block groups. Consumer Expenditures - This dataset shows average annual household expenditures for various types of products and services. Data are from the nationwide Consumer Expenditure Survey (CEX), conducted annually by the Bureau of Labor Statistics and the Census Bureau. Easy Analytic Software Inc.(EASI) uses its statistical modeling technology and demographic profiles of various geographic areas to show CEX data for States, counties, census tracts, and block groups. Consumer Spending Analytics - This dataset presents a demographic analysis of household spending for various types of products and services. The table shows total annual expenditures, number of households, and average spending per household. Data are from the nationwide Consumer Expenditure Survey (CEX), conducted annually by the Bureau of Labor Statistics and the Census Bureau. Easy Analytic Software Inc. (EASI) uses its statistical modeling technology and demographic profiles of various geographic areas to show CEX data for demographic groups within states, counties, census tracts, and block groups. Demographics - EASI Profiles - This dataset shows the concentration of particular types of households in a geographic area in relation to the national average for that household type. The values shown are index values (100=national average). Demographics – Census - This dataset shows population and household characteristics as reported in Census 2010. Estimates for the current year and projections 5 years forward are based on new data reported in the Census Bureau’s American Community Survey, Census TIGER files, and the U.S. Postal Service mailable household file. Gross Domestic Product - This dataset provides GDP for the United States and geographic units. Health - This dataset provides statistics characterizing the health status of the United States population, including health conditions and behaviors, health care access/usage, and cause of death. 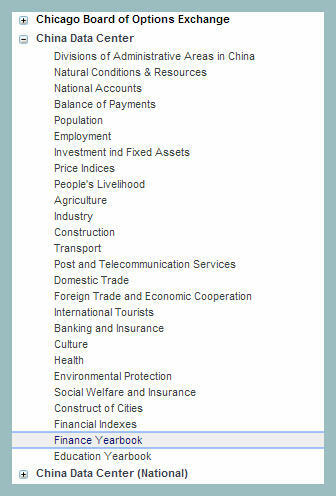 Industries – NAICS - This dataset shows number of establishments and employees, by industry. Data are from the Census Bureau’s County Business Patterns. Easy Analytic Software Inc. (EASI) uses its statistical modeling technology and geographic profiles to show this data for census tracts and block groups. Life Stages - This indicator shows the number of households in key demographic market segments within a geographic area. Each of the 84 segments in the Life Stages system uniquely combines three household characteristics: age of household head (7 categories), household type (4 categories), and household income (3 categories). This dataset is designed by EASI. Media Use - Mediamark - This dataset shows US consumer use of various types of media. Data are from Mediamark’s annual Survey of the American Consumer, based on 26,000 face-to-face interviews conducted nationwide in consumers’ homes. Easy Analytic Software Inc. (EASI) uses its statistical modeling technology and demographic profiles of various geographic areas to show Mediamark’s data for States, counties, census tracts, and block groups. Quality of Life -This dataset provides measures of quality of life in the United States. Retail Sales - This dataset shows annual retail sales at 13 types of retail establishments. Data are from the 2007 Census of Retail Trade, a part of the quinquennial Economic Census. Easy Analytic Software Inc. (EASI) uses its statistical modeling technology and geographic profiles to show this data for census tracts and block groups. Benchmark data are updated and projected 5 years forward based on County Business Patterns and other sources. Founded in 1997, the University of Michigan China Data Center serves as an international center for advancing the study and understanding of the People's Republic of China. The Center integrates historical and social and natural science data in a geographic information system with the goal of supporting research in the human and natural components of local, regional, and global change; and promoting quantitative research on China, collaborative research in spatial studies, and the use and sharing of China data in teaching and research. The China Data Center partners with several Chinese government agencies and companies, and is exclusively authorized by the National Bureau of Statistics of China, in distributing China statistical data and publications and providing data services outside of China. The work of the Center is intended to facilitate comparative and interdisciplinary uses of the data, enabling both nonspecialists and China scholars to understand and utilize these data, and enhance knowledge of China. 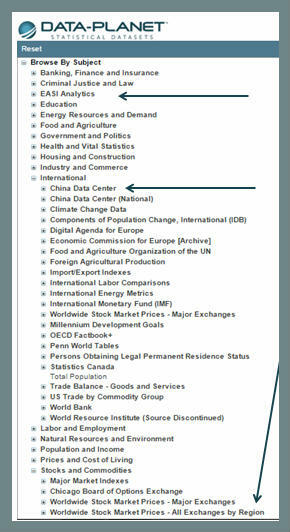 What's in the China Data Center Subnational Dataset? The data in this file are from the University of Michigan China Data Center (founded in 1997). The center serves as an international center for advancing the study and understanding of the People’s Republic of China. The Center integrates historical and social and natural science data in a geographic information system with the goal of supporting research in the human and natural components of local, regional, and global change; and promoting quantitative research on China, collaborative research in spatial studies, and the use and sharing of China data in teaching and research. The China Data Center partners with several Chinese government agencies and companies, and is exclusively authorized by the National Bureau of Statistics of China, in distributing China statistical data and publications and providing data services outside of China. The work of the Center is intended to facilitate comparative and interdisciplinary uses of the data, enabling both nonspecialists and China scholars to understand and utilize these data, and enhance knowledge of China.